Children who are bullied are twice as likely to have suicidal thoughts than children who are not bullied, and cyberbullying is more closely linked to suicidal thoughts than in-person harassment according to a new study published in JAMA pediatrics. Conducted by researchers in the Netherlands, the study analyzed data from 34 other studies involving almost 300,000 participants. Researchers found that students who were bullied were almost twice as likely to consider killing themselves and two and a half times more likely to actually attempt suicide. The higher risk was found among various age groups and affected both genders. Earlier today we published an article that demonstrates how parents can use cyberbullying facts and resources to protect kids and teens from cyberbullying dangers. View these facts to further educate yourself on the issue of cyberbullying. These statistics were originally published on DoSomething.org. “Cyberbullying” is defined as a young person tormenting, threatening, harassing, or embarrassing another young person using the Internet or other technologies, like cell phones. The psychological and emotional outcomes of cyberbullying are similar to those of real-life bullying. The difference is, real-life bullying often ends when school ends. For cyberbullying, there is no escape. And, it’s getting worse. Read on to get the facts. 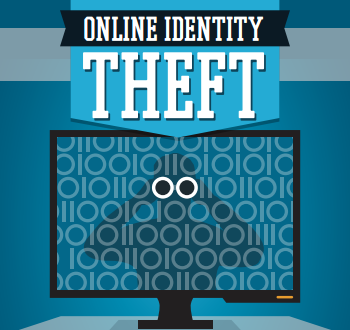 View our Online Identity Theft Protection Infographic Now! We just released a new infographic yesterday about the dangers of online identity theft, especially in children. Digital Parenting: Is My Child Ready for Instagram? Instagram is a social networking site that allows children to share their pictures with friends and family. As a parent you might be wondering if your child is ready for Instagram. There are positive and negative things about letting your child on such a site. One thing is that they can share fun photos with everyone on their friends list. Maturity and age are always a factor in your choice to allow your child on Instagram or not. There is an age restriction where you have to be at least 13 years of age but there are plenty of children younger than this on the site. Make sure your child keeps their page private. This makes it so that only people on their friends list can view their pictures. You want this because there are people out there who are looking on a site like this to look at young children’s photos. There can even be a problem with their own classmates being on their page. Some children are known to put crude comments about people’s pictures which can affect your child’s self-esteem. Instagram can unfortunately be a breeding ground for cyberbullying. This article was originally posted on BlogHer and written by WomenLoveTech. I get sick in the stomach when I read about teenagers taking their own lives after extensive online bullying. Nearly 80% of kids under 10 use social media. I urge you to take cyberbullying seriously. The Internet is a great place to learn, to be entertained, to share and communicate, but not a place for bullying. Up to 35 percent of 8 to 11 year olds have their own mobile phone, rising to 94 per cent of 16 to 17 year olds. Children and young people are increasingly gaining access to the internet via their mobiles, yet only a very small percentage have discussed cybersafety with their parents. I hope these 21 powerful tips to prevent kids cyberbullying will guide you and will help your kids. Please share this list with them. 1. Do not respond to any cyberbullying message, block the person and tell a trusted person. 2. When you are upset, walk away from your computer or your smartphone. 3. Do not write anything against another person, one day you will regret it but it will be too late. 4. Do not share with anyone (except parents) your passwords, your BFF is not an exception. This article was originally posted on the Huffington Post by Signe Whitson. According to a recent study by the Cyberbullying Research Center, approximately 20% of kids aged 11-18 say they have been victims of online aggression. In a world of catastrophic headlines and sensational sound bites, these numbers don't actually sound so bad, but take the time talk to any school-aged technology user (read: just about any tween or teen that you meet on the street) and you will no doubt gather that the danger posed by cyberbullying is not in the breadth of its perpetrators and victims, but rather in the depth of damage that online aggression can cause. Just what is it that makes cyberbullying so bad? This article originally appeared on FoxBusiness.com, writen by Kate Rogers. Teasing used to be limited to school recess on the playground, but now it has evolved into a malicious trend among youths on the internet. As technology advances and more children are using it, they are increasingly exposed to cyberbullies on social networking sites like Facebook (FB) and Twitter, and texting and apps on phones and tablets. And the consequences can be devastating. For some children being targeted, like 12-year-old Rebecca Ann Sedwick in Miami, they see no other way out of this cruel cyber world, than to take their own lives.